For most firms, talent is their largest expense and their greatest asset. People have the most significant impact on a firm’s performance. In an increasingly competitive market, optimising investment in talent is vital for a firm’s overall success. Securing the right people, developing a strong employer brand and value proposition, and aligning your people with your corporate goals are all key to this success. We’re here to help. Aon's Talent, Rewards and Performance practice has 3,000 professionals and experts focused on one goal: helping our clients drive business performance through people performance. Aon Best Employers is a research study that publicly recognises best employer organisations that have created great work environments marked by effective leadership, high performance orientation, a compelling employer brand and high employee engagement. 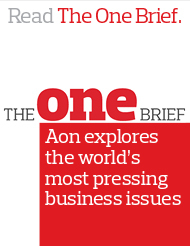 Aon Best Employers are recognized on every continent. cut-e has established itself as the most innovative provider of online assessment for HR diagnostics on the web, providing online tests, questionnaires and gamified assessments. cut-e and Aon undertake 30 million assessments each year in 90 countries and 40 languages. At Aon, our Sales Force Effectiveness Practice understands that sales people are expensive resources that often operate remotely from headquarters, interact directly with customers and have significant impact on business results. Given these factors, we believe that proper customer targeting, organization deployment, sales talent management and motivation of sales people are critical to our clients' success. Radford delivers compensation data and advice to technology and life sciences companies. Today, our surveys provide in-depth compensation insights in more than 80 countries to 2,850 participating organizations, and our consultants work with hundreds of firms annually to design rewards programs for boards of directors, executives, employees and sales professionals. By applying market pay and performance data to business challenges, McLagan helps clients make better decisions and stay ahead of the curve in a competitive market. Our team-based approach and long-term partnerships ensure that we provide clients with the most innovative thinking out there. Aon's Performance team surfaces solutions to your growth and profitability challenges, by connecting people and business performance. Scorpio Partnership is the world’s leading strategy and insights consultancy to the global wealth industry. The common objective through our work is to use client insight to optimize business performance. This article examines what happens to engagement during times of change and what can be done to manage employee engagement throughout that change. Learn more. In times of global uncertainty and volatility, the conventional wisdom doesn't always apply when it comes to improving engagement. Find out the engagement trends in each region, and why engagement scores are collapsing. Learn more. This whitepaper discusses why organisations should move away from the traditional once-a-year engagement measurement, the benefits of Continuous Listening, and the steps you can take to implement it at your organisation. Read more. Which are the elements of a healthy recognition program? And what are the outcomes? Learn more. Our attempt in this paper is to take a holistic view of Millenials asa population, and the various HR processes that will be impacted by Millenials. Learn more. We see that disengaged employees are nearly twice as likely to leave an organisation as their engaged counterparts. Read more. A "Workplace Prisoner" is someone who indicates they will stay at their organisation despite a lack of motivation to give their best effort and a lack of positive things to say about their organisation. Learn more. Look toward 2025 and evaluate the seismic changes in the workforce. Reimagine HR and the value it can provide as a business partner. Find out more.